I am not a major skincare product junkie. Why? Because I have pretty good skin genetically thank god and aside from a little something here and there my skin is pretty predictable and easy to manage. A simple routine is enough to suit me between removing my makeup, washing my face and keeping it clean and soft. Read more about my skin care routine here as it hasn't changed much. My skin isn't completely perfect though, I do have two small concerns and they are: a) hyper-pigmentation in my cheeks & b) a few sunspots under my right eye from a bout of careless sun protection. For that reason I am always on the search for some miracle specialty products that will just make those two things completely disappear. So many products promise to do just that but then don't actually come through. As of now I have yet to find a miracle fix to solve those specific problems but I have found quite a few lovely products along the way. 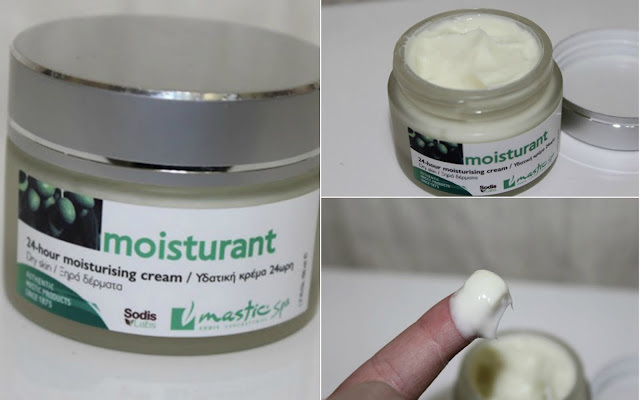 So of course when I got the opportunity to try some products from Mastic Spa which is a Greek company devoted to offering natural products containing a unique and essential ingredient called Mastic, I was eager to see what they were all about. Learn more about Mastic and what their company has to offer over at their website. Keep reading till the end to join the awesome giveaway!! 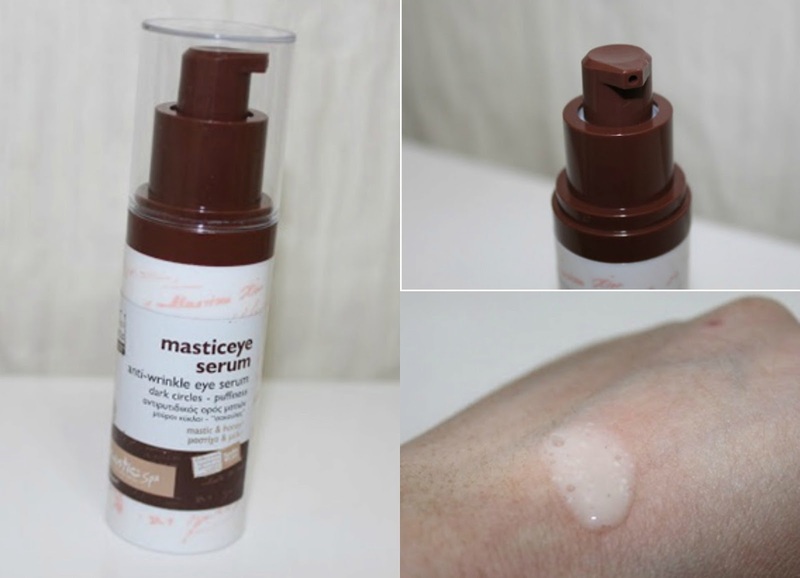 Mastic Eye Anti Wrinkle Eye Serum- This product is targeted towards reducing the appearance of dark circles while lifting and tightening the skin in the under eye area. The first thing I noticed about this one was how thin and watery it was in consistency. It was easy to apply and felt nice on my skin. I don't have any major puffiness, dark circles or wrinkles at this time so I can't say anything on that part but with applying it at night before going to sleep I will admit that area felt super soft in the morning and maybe it's only my imagination but I think it effected the application and lasting power of my under eye makeup too. As for the sun spots I am trying to get rid of..they haven't faded at all. I think it would be a good product to try if you have under eye concerns like puffiness or dark circles but I don't see myself repurchasing it in the near future as it isn't something I couldn't live without. 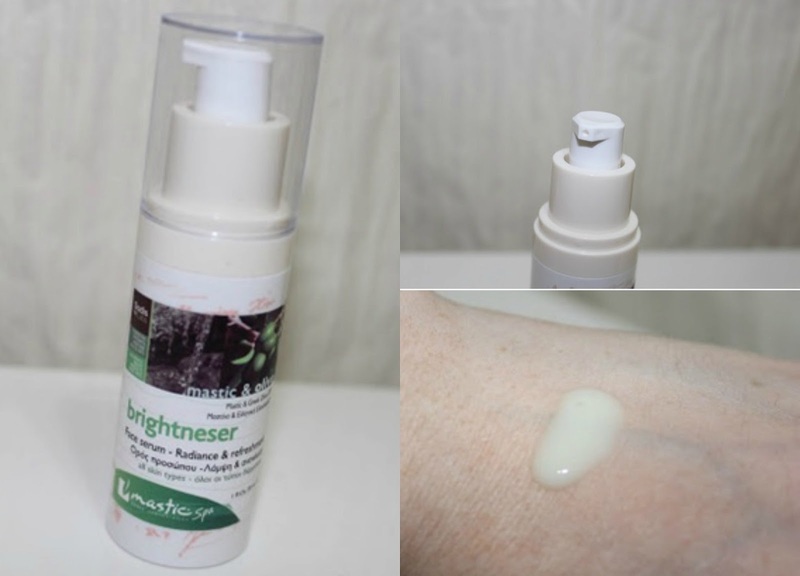 Mastic & Olive Oil Brightneser Face Serum- a product for replenishing glow and maintaining youthful and radiant appearance. Like the eye serum this one pretty watery. The pump makes it easy to get the perfect amount out for application. I have used this in the mornings before applying my makeup and I do feel like my skin has begun to appear less dull in some ways. I like this product alot but I usually keep my routine simple and don't include serums. If you are a person that likes serums then I definitely recommend going for this one as it's quite nice. Mastic Moisturant 24 Hour Moisturising Cream is basically a really thick, heavy and ultra moisturizing item. It's known to keep the skin young and firm looking. I loved the feeling and smell of this product and it was perfect for me at the end of the winter when my skin was bit more dry then usual. It is too heavy for my skin for Spring and Summer though when my t-zone gets a bit more oily. My mom has very dry skin so I gave it to her to enjoy and pamper herself with. If you have very dry skin that needs a bit of moisture added back to it this will definitely do the trick. I also want to mention that I am extremely careful with products like these and dipping my fingers in and out etc which spreads bacteria. Diamond Renaissance 3 in 1 24 Hour Renaissance Regenerating Cream- I have kept the best one for last as this is by far my favorite of them all. I couldn't contain my excitement and already mentioned it in my favorites video. It is that good! 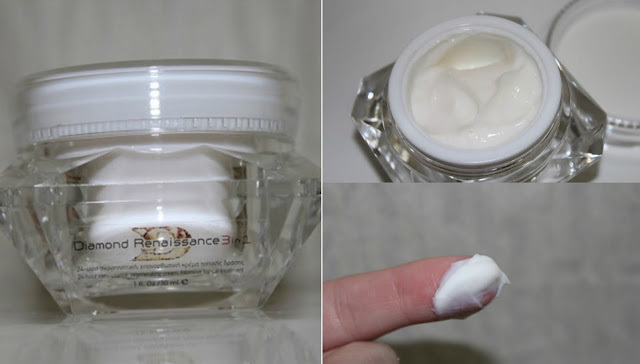 It has a similar thick consistency to the other 24 hour moisturizer but this one is specifically targeted for wrinkles and fine lines. I am pretty young still so I obviously haven't accumulated too many wrinkles on my skin but I do have some laugh lines and I firmly believe it's never too early to get prepared with that kind of thing. The thing I love most about this one is that it seems to sooth and cool my face which does calm the hyper pigmentation in my cheeks. I find it very calming to apply this before bed. The packaging is eye catching and lightweight (easy for travel). Although I love the look of the packaging for those moisturizers I do think it would be better if they came in a pump or tube packaging with less of a risk of spreading bacteria. I do think it is fantastic that these products contain that unique ingredient- mastic that is supposed to work as an antibacterial agent and heal problematic skin. Also, all of these products have the same really lovely scent which seems to be a mix of honey and vanilla to me. I personally like the scent but it may be a bit heavy for others. 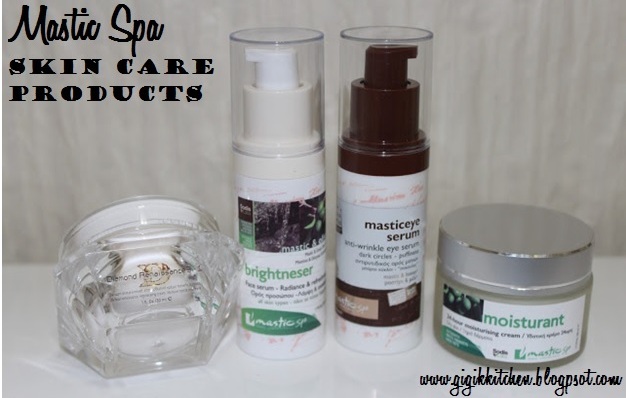 All in all I really was impressed with these products from Mastic Spa. The fantastic thing is that they sell bath products, hair products and even shaving and deodorant products so there is something there for everyone and they are not too tough on the bank account either. I cannot wait to try some of their other products and I will keep you updated once I do. 10 lucky winners are going to get one of these brightneser face serums! If for some reason you are having trouble entering through the rafflecopter then feel free to just go straight to my facebook makeup page and google friend connect to follow and then just leave me a comment here saying you have done so and I will enter you myself! That way everyone can be included! This giveaway will run for 1 whole week and is open until Thursday May 16th at 12. The winner will be contacted shortly after. Once the giveaway closes the rafflecopter widget will randomly choose a winner. Please make sure not to skip any of the steps of entry so that you will qualify!